Prof. Pavel Exner, researcher in the Institute of Nuclear Physics CAS and President of the European Mathematical Society received the Neuron Award for Contribution to Science. This prestigious award is designated to acknowledge and recognise top Czech scientists at home and abroad who have reached outstanding achievements in their field and as such can serve as role models and inspiration. Tradiční Dny otevřených dveří v Matematickém ústavu AV ČR jsou součástí Týdne vědy a techniky Akademie věd ČR, nejrozsáhlejšího vědeckého festivalu v ČR pořádaného Akademií věd ČR ve spolupráci s dalšími institucemi ve dnech 6.–12. listopadu 2017. Široká veřejnost a především studenti středních škol mají možnost nahlédnout do pracoven, laboratoří a knihoven a poznat, jak se dělá věda. Badatelé z výzkumných pracovišť AV ČR připravují širokou nabídku exkurzí, přednášek, výstav a diskusních večerů, ve kterých představí své výzkumné projekty, předvedou nejmodernější vědecké přístroje a experimenty a přiblíží návštěvníkům nejnovější trendy v oblasti vědy. V Matematickém ústavu AV ČR se Dny otevřených dveří uskuteční na pražském pracovišti ve dnech 6.–9. listopadu 2017. Traditional Open Houses in the Institute of Mathematics CAS was held as part of the Week of Science and Technology, the most extensive scientific festival in the Czech Republic, organized by the Czech Academy of Sciences in cooperation with other institutions from 6th to 12th November 2017. The scientists from the research workplaces of the Academy of Sciences prepare a wide offer of lectures, presentations, panel discussions, seminars, excursions, exhibitions and discussion evenings, in which they present their research projects, the most modern scientific apparatuses and outline the latest trends in the areas of science in the Czech Republic and the world. The Prague departments in the Institute of Mathematics will be open to public from 6th to 9th November 2017. Prof. František Neuman from the Brno Branch of the Institute of Mathematics CAS received the Prize of the Southmoravian Region for his contribution to science. The ceremony was held in the Slavkov Castle on 12 November 2016. At the German National ERA Conference on 10 October 2015 in Berlin, the Commissioner for Research, Science and Innovation Carlos Moedas presented his vision of the 9th Framework Programme to come after Horizon 2020. The principal values should be Exellence, Openness and Impact. Two young members of the Institute of Mathematics CAS received research grants from the Neuron Fund for Support of Science: Tomáš Vejchodský in the category Neuron Impuls for the study of Guaranteed bounds of eigenvalues and eigenfunctions of differential operators and Ondřej Kreml in the category Neuron Impuls Junior for the study of Mathematical analysis of hyperbolic conservation laws. Through the Neuron Impuls grants, the Neuron Fund for Support of Science aims to support projects in basic and – in medicine – applied scientific research and, especially, young scientists working in the Czech Republic or successful Czech scientists returning from abroad to pursue their research in the Czech Republic. Marián Fabian and Vladimír Müller, the leading members of the Department of Topology and Functional Analysis have been awarded the Honorary Bernard Bolzano Medal for Merits in Mathematical Sciences. The medals were presented by the Vice-President of the Czech Academy of Sciences Dr. Jan Šafanda on 29 September 2016 during the international workshop Interactions between Algebra and Functional Analysis. For abstract see the flyer below. The distinguished Eduard Čech Lectures held to commemorate one of the most eminent Czech mathematicians and founder of the Institute are directed to a general mathematical audience. Monografie Oborové didaktivy: vývoj – stav – perspektivy získala cenu za pozoruhodnou výzkumně zaměřenou publikaci. Autorský kolektiv vedli Iva Stuchlíková a Tomáš Janík a jeho členkou byla i Mgr. Marie Tichá, CSc., vedoucí Kabinetu pro didaktiku matematiky Matematického ústavu AV ČR. Cenu uděluje Česká asociace pedagogického výzkumu. Předal ji její předseda doc. Mgr. 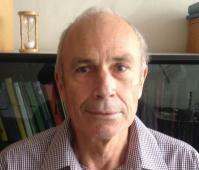 Petr Novotný, Ph.D., na 24. výroční konferenci, která se konala ve dnech 15.–16. 9. 2016 na Pedagogické fakultě Jihočeské univerzity v Českých Budějovicích. 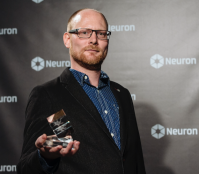 The Neuron Fund for Support of Science awarded Dr. Emil Jeřábek of the Department of Mathematical Logic and Theoretical computer Science the Neuron Award for Promising Young Scientists. The award is designated to acknowledge Czech scientists under the age of 40, who have achieved excellent scientific results, and to recognise their activities and promote their future progress. Fédération Française des Jeux Mathématiques a Société de Calcul Mathématique SA vyhlásily již osmý ročník soutěžní interaktivní matematické hry, tentokrát ve znamení románu J. Verna Ze Země na Měsíc. Kromě netriviálnní a inteligentní zábavy nabízí i finanční ceny pro vítěze. The public consultation has been called by the European Commission to collect information from a wide audience on different aspects of Horizon 2020 implementation. Institutions as well as individuals (researchers, entrepreneurs, innovators) can take part till 15 January 2017. Outcomes of the consultation will affect on preparation of the new framework programme for research and innovations (FP9). During the opening ceremony of the 7th European Congress of Mathematics in Berlin, 12 prizes were awarded to outstanding mathematicians. The 10 EMS prizes went to Sara Zahedi (KTH, Sweden), Mark Bravermann (Princeton University, USA), Vincent Calvez (ENS Lyon, France), Guido De Philippis (SISSA Trieste, Italy), Peter Scholze (University of Bonn, Germany), Peter Varjú (University of Cambridge, UK), Thomas Willwacher (ETH Zürich, Switzerland), James Maynard (Magdalen College Oxford, UK), Hugo Duminil-Copin (IHÉS, France), Geordie Williamson (MPI Bonn, Germany). The Felix Klein Prize was awarded to Patrice Hauret (Michelin, France), and the Otto Neugebauer Prize went to Jeremy Gray (Open University, UK). With a deep sorrow we inform that our colleague Dr. Emil Vitásek passed away on 28 August 2016 at the age of 85 years. Dr. Vitásek, a renown specialist in numerical mathematics, was one of those who connected their whole professional life with the Institute of Mathematics. He used to come regularly to the institute even many years after his retirement, taking part in the Seminar on Current Problems in Numerical Analysis and serving his colleagues in the Committee for Employee Care. President of the Czech Academy of Sciences Prof. Jiří Drahoš awarded the Otto Wichterle Award for young researchers to Dr. Jan Hladký, member of the Department of Mathematical Logic and Theoretical Computer Science. The award has been established in 2002 to encourage and support young promising researchers in institutes of the Czech Academy of Sciences. It is connected with a financial premium in the subsequent three years. Jan Hladký is one of 21 laureates this year. The European Commission is gathering ideas on Mathematics for Excellence in Science in Horizon 2020 to inform the future work programme with innovative mathematical content. The potential of mathematics was already explored in a very successful online consultation which provided excellent food for thought for a workshop held in November 2014. The conclusions of that workshop were collected in a report. The present consultation open to all mathematicians till 30 April offers an important chance to support the creation of a so far missing niche for mathematical research in the future work programmes in Horizon 2020. Institute of Mathematics CAS in cooperation with its project partners is organizing a traditional conference Winter School in Abstract Analysis, section Set Theory & Topology. The meeting will take place in Hejnice, Czech Republic between January 28 and February 4. The conference is sponsored by the International Visegrad Fund. Tradiční Dny otevřených dveří v Matematickém ústavu AV ČR jsou součástí Týdne vědy a techniky Akademie věd ČR, nejrozsáhlejšího vědeckého festivalu v ČR pořádaného Akademií věd ČR ve spolupráci s dalšími institucemi ve dnech 1.–13. listopadu 2016. Široká veřejnost a především studenti středních škol mají možnost nahlédnout do pracoven, laboratoří a knihoven a poznat, jak se dělá věda. Badatelé z výzkumných pracovišť AV ČR připravují širokou nabídku exkurzí, přednášek, výstav a diskusních večerů, ve kterých představí své výzkumné projekty, předvedou nejmodernější vědecké přístroje a experimenty a přiblíží návštěvníkům nejnovější trendy v oblasti vědy. V Matematickém ústavu AV ČR se Dny otevřených dveří uskutečnily na pražském pracovišti ve dnech 1.–4. listopadu 2016, v brněnské pobočce 9. listopadu 2016. Traditional Open Houses in the Institute of Mathematics CAS was held as part of the Week of Science and Technology, the most extensive scientific festival in the Czech Republic, organized by the Czech Academy of Sciences in cooperation with other institutions from 1st to 13th November 2016. The scientists from the research workplaces of the Academy of Sciences prepare a wide offer of lectures, presentations, panel discussions, seminars, excursions, exhibitions and discussion evenings, in which they present their research projects, the most modern scientific apparatuses and outline the latest trends in the areas of science in the Czech Republic and the world. The Prague departments in the Institute of Mathematics werebe open to public from 1st to 4th November 2016, the Brno branch on 9th November 2016. Jarní exkurze do světa vědy v Matematickém ústavu AV ČR jsou součástí Týdne vědy a techniky Akademie věd ČR, nejrozsáhlejšího vědeckého festivalu v České republice pořádaného Akademií věd ČR ve spolupráci s dalšími institucemi ve dnech 2. května - 30. června 2016. Široká veřejnost a především studenti středních škol mají možnost vyslechnout několik přednášek proslovených našimi předními odborníky na daná témata. Seznam nabízených přednášek najdete zde. Spring Open Houses in the Institute of Mathematics CAS will be held as part of the Week of Science and Technology, the most extensive scientific festival in the Czech Republic, organized by the Czech Academy of Sciences from 2nd May to 30th June 2016. Programme containing the list of lectures could be found here . CSASC is a joint meeting of the Czech, Slovenian, Austrian, Slovak and Catalan mathematical societies which started in Prague in 2010 out of former bilateral meetings of the Czech and Catalan societies, and was held in Krems (Austria) in 2011 and Koper (Slovenia) in 2013. This fourth edition in Barcelona displays the continuing lively relationship among the mathematicians from the five societies within the network of multilateral meetings in the EMS. This meeting gathers specialists from different disciplines, ranging from planetology to galaxy evolution, to discuss the problem of local cosmological influences from various points of view, both theoretical and observational. Interdisciplinary seminar organized in frames of the Strategy AV21 and devoted to collaboration between academia and the industrial sphere. The aim of this workshop is to bring together people who work in various areas of algebra, logic, and functional analysis, where similar tools and methods are used. During the workshop, on Thursday 29 September, the Vice-president of the Czech Academy of Sciences Dr. J. Šafanda will award M. Fabian and V. Müller the Bernard Bolzano Honorary Medal for Merit in Mathematical Sciences. The first edition of the biannual series of Prague Summer Schools on Discrete Mathematics will be held on 1-5 August 2016 at the Institute of Mathematics CAS in Prague. The following speakers kindly agreed to give lecture series: Ronald de Wolf on Fourier analysis of Boolean functions, Samuel Fiorini on extended formulations. The Twelfth Symposium on General Topology and its Relations to Modern Analysis and Algebra will be held on 25-29 July 2016 at Faculty of Architecture, Czech Technical University in Prague. Two postdoc positions in numerical analysis are availabe - for details see List of open positions. Další v sérii popularizačních přednášek pořádaných Českou matematickou společností pro širokou veřejnost přednese prof. Jaroslav Nešetřil z Matematicko-fyzikální fakulty UK dne 16. 3. 2016 od 16 hodin v refektáři MFF UK v Praze, Malostranské nám. 25. The congress will take place on March 16-20, 2016, in Stockholm. In addition to the scientific programme, there will be two public lectures on March 15, given by Donald Ervin Knuth: All questions answered and Cedric Villani: On triangle, gases, prices and men. Setkání proběhne ve dnech 25.-28. ledna 2016 v prostorách Matematického ústavu AV ČR.